The Taiwan-based elements of the supply chain are reportedly expecting to see shifts in MacBook production for this year, with the ratio of units assembled by ODM Quanta Computer and Foxconn potentially tipping into the latter's favor in 2019, over an alleged "deferred launch" of new models of the MacBook Air. The production split for the MacBook range is typically divided so 80 percent are delivered by ODM Quanta Computer, while Foxconn handles the remaining 20 percent. DigiTimes reports Quanta delivered 37.6 million MacBooks in 2018, which is a drop of 11.3 percent year-on-year, though it is unclear if a similar change has been observed by Foxconn. Other supply chain partners providing battery modules, hinges, the chassis, thermal modules, and cooling fans are also enjoying higher revenues, with the claim Apple's high standards and high yield rate requirements has prompted high unit prices for its MacBook models. Even so, it is suggested by report sources that total MacBook shipments could see a small decline for 2019 as a whole. While Apple's Mac contractors may face a subdued future, the same cannot be said about AirPods. Assembler Inventec apparently expects to see shipments of the audio accessories increase in 2019, with the launch of a second-generation likely to help boost sales numbers. 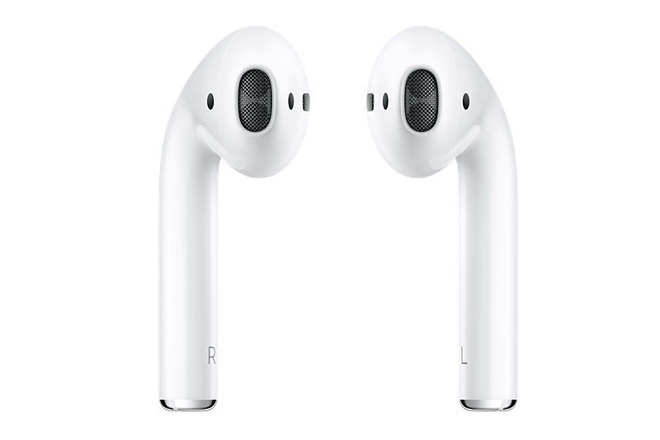 The next generation of AirPods is currently believed to offer considerable health tracking features as part of the refresh, allowing for users to track elements such as heart-rate monitoring without requiring the use of an Apple Watch. While adding fitness tracking, the new AirPods are likely to look the same as the original version, but with the addition of a new grip on the earbuds and with a black color option. Inventec is not the only assembler for the AirPods, as China's Luxshare Precision has been gaining orders from Apple by offering lower production quotes. To counter the Luxshare threat, Inventec is thought to be building a new assembly plant in China, offering increased capacity and possibly reduced quotes of its own. Lastly, Quanta is expected to remain the largest assembler of the Apple Watch Series 4, with Compal acting as a secondary assembly partner. Compal is tipped to obtain more orders later this year, with market sales anticipated to ramp up significantly across 2019 thanks to health features like the ECG function boosting the wearable device's profile further.